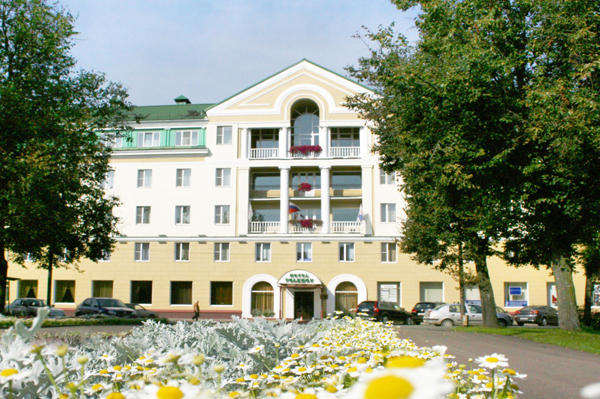 Location: The hotel is located in the city centre close to the Kremlin of Veliky Novgorod. Hotel Facilities: restaurant, lobby bar, 2 conference halls, sauna with a small swimming pool, billiards. Rooms: 43 standard single rooms, 6 comfort single rooms, 56 standard twin rooms, 6 family rooms, 6 junior suites, 9 suites.